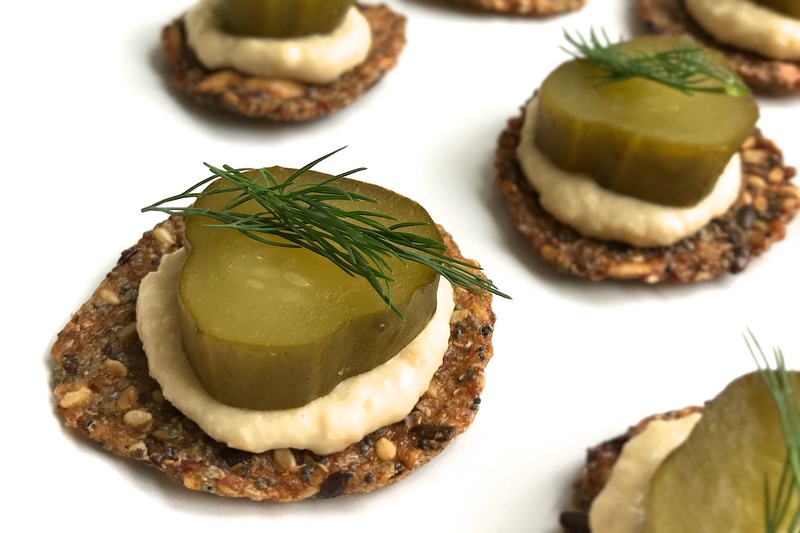 When you’re crunched for time and you want a crunchy snack to impress a crowd, look no further than these little dill and hummus bites. I always have a jar of fermented dills in my fridge and eat them on everything from sandwiches to pasta salads to avocado toast. There’s a big difference between fermented dill pickles and commercial dill pickles. 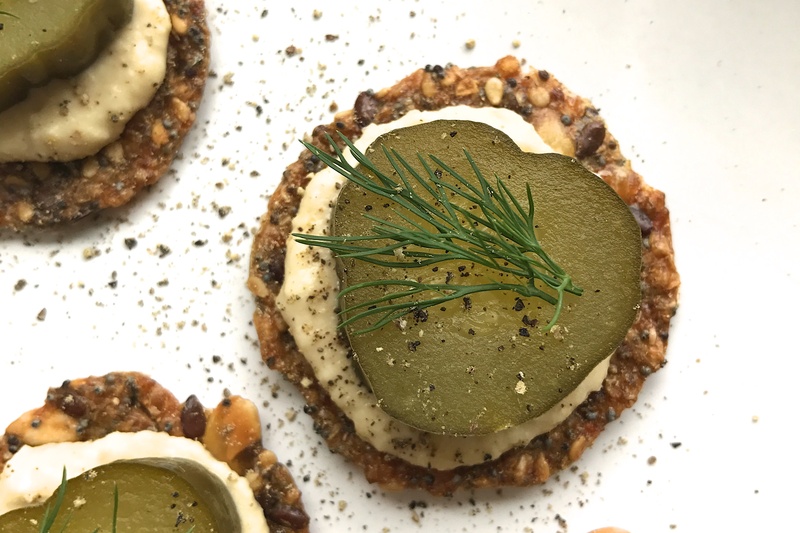 If you want to know more, be sure to check out my Fermented Foods FAQ where have a little buyers guide section to purchasing good-quality fermented foods that are teaming with viable probiotics. OK, back to these pickle bites. This is more of an assembly instruction than a ‘recipe’, as there’s not much cooking involved here. I often use store-bought hummus when I’m making these because it saves on time and I’m usually in a rush when I’m making them. But, it’s nice when I can use my own homemade hummus. Topping these babies with a fresh spring of dill and freshly cracked pepper makes them all “fancy” if you want to bring them to a party to potluck. They are a go-to snack in my house. Top crackers evenly with hummus. Add 1 slice of dill pickle to each. 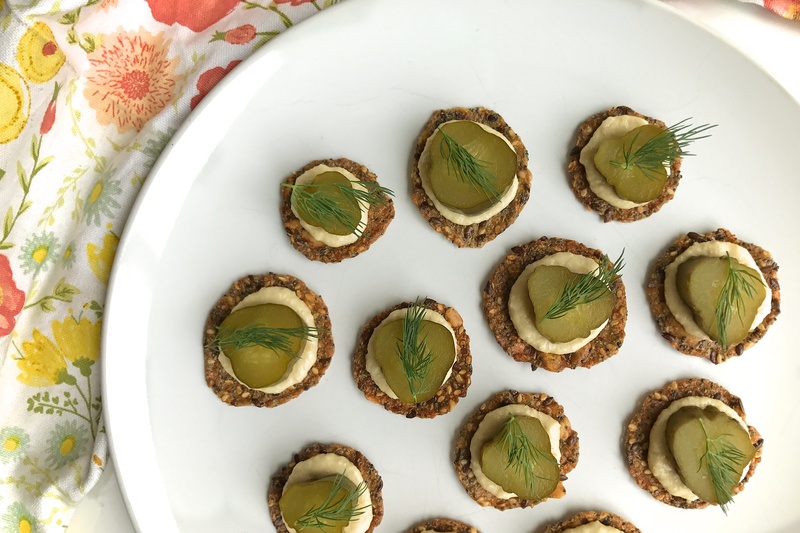 Top each bite with a sprig of fresh dill weed and a dash of fresh pepper. Let me know if you try them out! I’m all over social media @kimdeoncom or you can comment below! 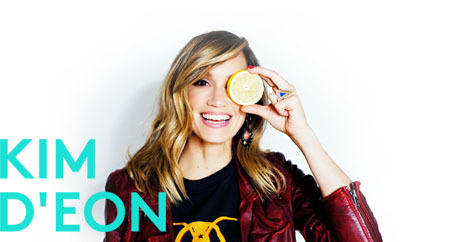 If you haven’t picked up a copy of my Fresh Start Kitchen ebook, I talk more about the power of fermented foods and provide lots of healthy snack suggestions on top of a wealth of real food know-how and background. Go on and have a look! You’ll like it.